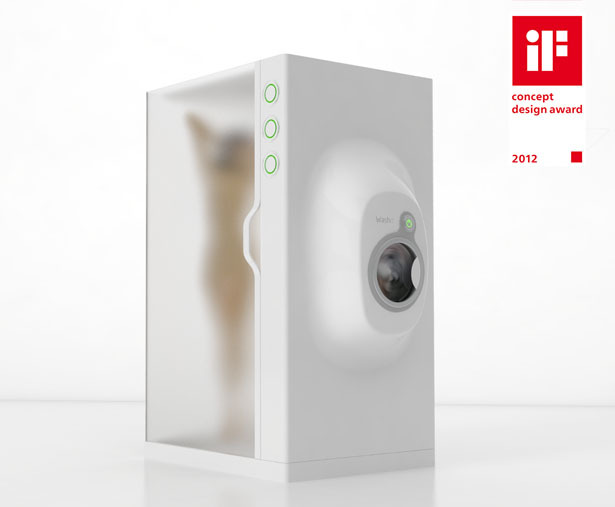 Combining a shower cabinet and small washing machine is the main concept of Washit. 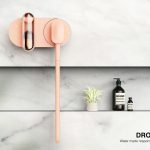 This project aims to save more water by utilizing the same water that you use for taking a shower to wash your clothes at the same time. Washit concept brings lots of benefits both in domestic life or public facilities such as airports and fitness centers. Save more money on your water bill, this product will definitely change your daily routines, no more washing clothes in bulk. Every time you take a shower, it means you have the chance to wash a few pieces of clothes without having to spend extra water. 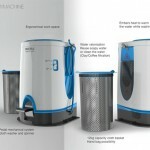 There’s a special filtration system that will transform waste water from showering into clean water to wash your clothes. 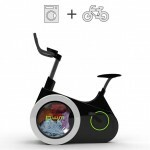 Washit can be modified specially for public usage. You can access the washing machine from inside the shower cabinet, in this way, there’s no need to get out to put your clothes into the machine. 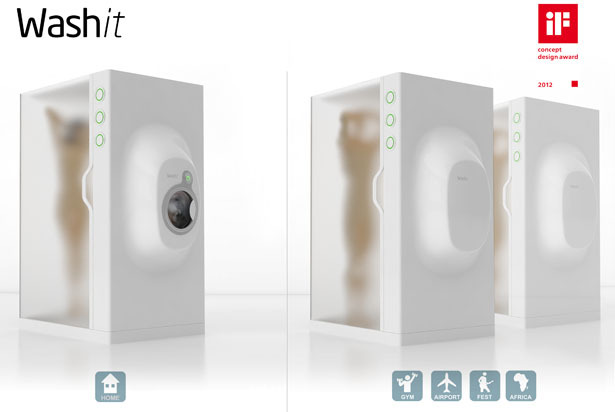 Public Washit features the ability to refresh clothes with Airwash technology, thus enables you to take your clothes back quickly without any bad odors. The plumbing system features 2 water pumps, 3 filters (carbon, organic and chemical), 1 heater and water storage unit. 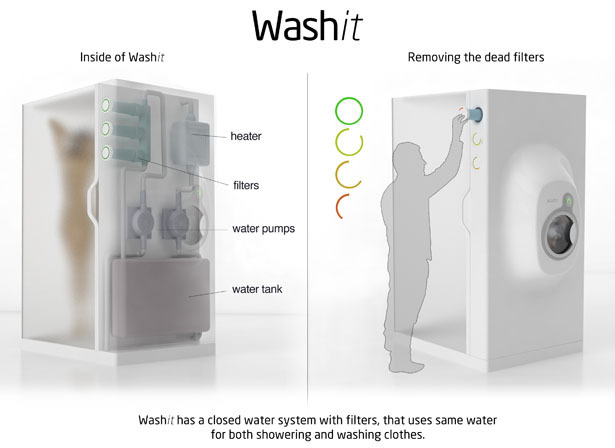 While you take a shower, Washit gathers waste water from shower cabinet through its filters and straight into the water storage. In this way, all water in storage is filtered and ready to be used again either for showering or washing clothes. 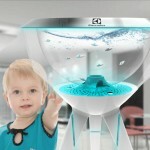 Just in case the machine needs more water, it can automatically fill itself from the water supply lines. This entry was posted in Bathroom, Designs and Concepts, Green, Home And Kitchen. 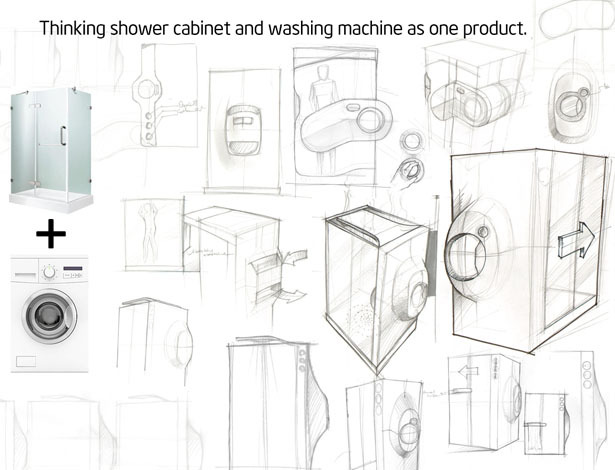 Tagged as cabinet, clothes designers, Concept, filtration system, Machine, plumbing system, shower cabinet, washing clothes, waste, water. 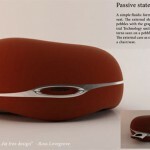 maybe interesting for Persian Spoken Language…. Cool. 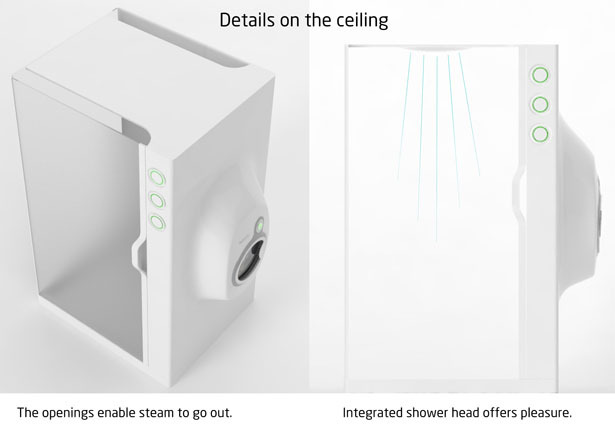 Great idea coming up with this two in one shower and washing machine. Just by saving water and water bills every month, is already a big thing. 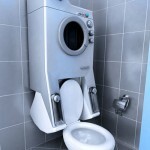 It’s a stroke of genius to combine the washing machine and the shower. 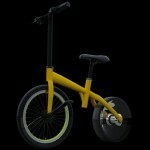 The only question now is when will this become commercially available? 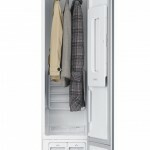 Is there a backup system that will cover instances of either the shower or washing machine not working? 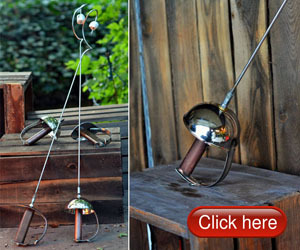 It would be a serious drawback if you could use this if one of the two main features fails. I am not actually familiar with how a washing machine was made but I am quite familiar with the “plumbing system”. And from the description you have provided regarding the machine’s plumbing system, I can say that it is an effective one. Its a great idea. Really eco-friendly. Would love to see more like this!